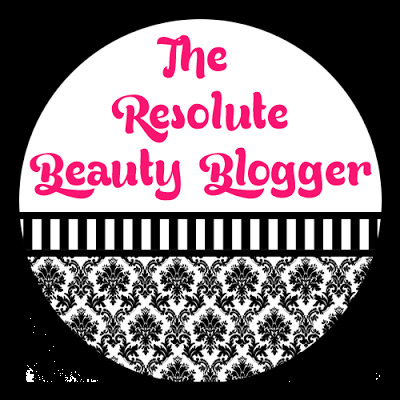 Welcome to the December updates of the beauty blogger resolution series called the Resolute Beauty Blogger. This is will be the last post in this series since 2014 is coming to an end. Update: I gained 50 Twitter followers and 50 Bloglovin followers. Update: I kept track of my monthly blog stats using the table that I discussed in my January post. Update: I participated in the Holiday Party Makeup Looks Collab which you can read here. Update: I'm pretty sure I do at least 3 hours of blogging stuff a night but I've been good about going to bed at a reasonable hour. Update: I've been continuing my "Frugal Fridays" series. Later this month I'll be doing a short series of posts about my hair, skin, and makeup favorites for 2014. Update: I did a mini tutorial in the Holiday Makeup Looks Post that I mentioned in #3. Update: I'm more comfortable posting full face photos. Update: No progress on this. Thanks for reading my blogging goals updates posts this year. I can't believe I stuck with it for the entire year! Overall this year brought be so many wonderful opportunities including collaborations with lots of great brands and a few new personal friendships. I look forward to what 2015 will bring me! To stay on my blog posting schedule, I plan to continue using a paper planner as a blog editorial calendar (sidenote: I want an Erin Condren life planner SO BAD but I just can't bring myself to spend $75 on a planner, oh well). I also plan to use the same table that I used this year to keep track of my monthly blog stats in 2015. Will you be setting some blogging goals for yourself in 2015? ?